Worrying about asbestos ? Test samples of materials in your property for asbestos and take action to prevent exposure ! Claim my offer NOW ! Exclusive offer for members of The Tenants' Voice ! Safety is a number one for tenants and homeowners ! If you live in an older property, you must beware of materials which may contain asbestos. Asbestos exposure is a hidden menace that can be fatal. That’s why we’ve partnered with Asbestos-sampling.com to present to you the DIY Asbestos Test Kit – a cheap and easy way to test your home for asbestos, so you can take action to remove potential hazards. All samples are tested at a UKAS accredited lab dedicated to asbestos testing. All samples are processed on the day they are received! Cost of delivery is covered in the price and the pack includes a prepaid return postage back to the lab for testing. Results are text messaged to you within 2 minutes of the sample being processed! Your test certificate will be emailed to you shortly after the test is completed. The asbestos test kits come with all necessary safety equipment to acquire a test sample and send it for testing. Step by step instructions are included to make sure you’re handling the materials safely. Customers can rely on a dedicated support line, where they can receive help and advice about asbestos their property. Call 0800 368 8849 at regular work hours Monday to Friday ! Get your property tested for asbestos ! Buy your DIY asbestos test kit for only £39.95 ! Get fast and accurate results from an UKAS accredited lab ! Order my test kit NOW ! Worried about asbestos ? Test your property now with a DIY Asbestos Test Kit ! Asbestos is a miracle material possessing many valuable properties like heat and fire resistance, sound absorption, lack of electrical conductivity, great abundance and low prices. These properties made it the preferred material for a huge list of industrial and construction purposes prior to 1999, when it was banned from use in the UK. Due to its fibrous microscopic structure, asbestos proves incredibly toxic. When released into the air, asbestos fibres can be inhaled and ingested, causing them to lodge in the lungs and other internal organs and wreak havoc. Even with modern medical advancements, asbestos-related sicknesses remain incurable, leaving thousands dead or disabled each year all over the world. Asbestos was in use longer in the UK than most developed countries. As a result, many prior built prior to 2000 and MOST buildings erected before 1980 will contain products and materials that are made with a varying quantity of asbestos. If you live in an older home and unless there has been NO major renovation and asbestos removal, it’s very likely that you share your home with a hidden threat. The DIY Asbestos test kit includes all necessary PPE to safely acquire a sample of the tested material and send it to a lab for testing. 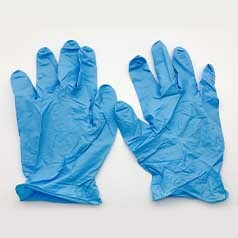 Inside the pack, you will find a P3 filtered mask, Nitrile powder-free gloves and CAT 5/6 coveralls. This equipment has been specifically chosen and tested to protect against asbestos fibres. 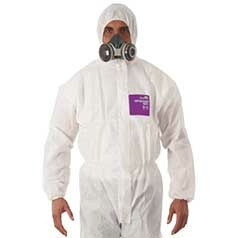 Asbestos removal technicians wear the same grade of protection when out in the field, so you can rest assured your safety is guaranteed. Furthermore, you will also receive two packs of antibacterial wipes so you can wipe your PPE down before taking it off and disposing of it in the two UN standard asbestos waste bags. The wipes will keep all of the asbestos fibres from becoming airborne, while the waste bags will seal the discarded items securely and allow no leakage. 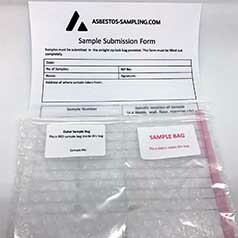 Last but not least, you will find two asbestos sample bags where you will collect the test sample and a lab form to fill out before sending out your material. The return postage and lab fee are prepaid and included in the pack. When you’re done with your sampling, put it in the return package and simply drop it off in your nearest mailbox. Don’t worry if you’re a novice. Clear step by step instructions are included to help you get the job done safely ! Asbestos-sampling.com has a lab dedicated to testing materials for asbestos contents. It is UKAS accredited and delivers 100% accurate results. The samples will be processed on the day they are received and you will get an instant SMS notification, as well as an email certificate of the results. A dedicated support line is available where all customers can get advice on how to use the test kit properly and how to proceed if the results are positive for asbestos. Call 0800 368 8849 Monday to Friday – 9am to 5pm – for any questions or advice you may need. Test your property for asbestos ! Buy your DIY asbestos test kit for £39.95 ! Order my test kit NOW! Excellent service would put my mind at rest. 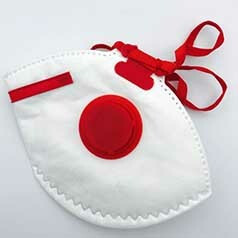 All the PPE was supplied and was of excellent quality. Very quick and efficient service. Would recommend. Easy, fast and efficient from ordering to results. Will use again. Thanks! Read the terms and condition at the checkout page before you purchase.